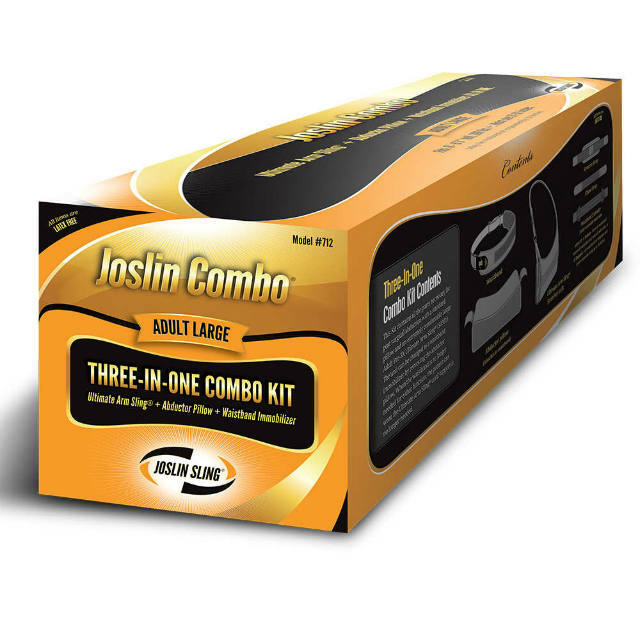 The Joslin Combo® was designed for comfort and easy use with limited hook and loop and a logical strap system. 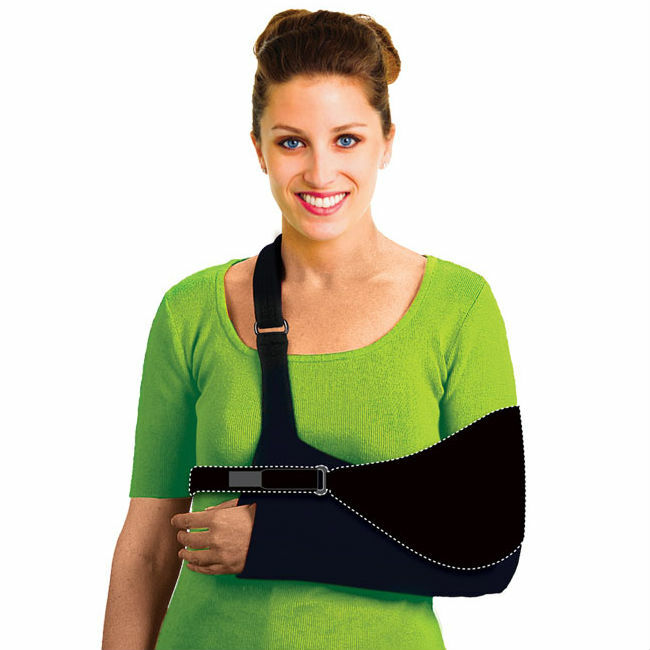 The comfortable Ultimate Arm Sling is adapted for use with the pillow by the addition of a soft, stretch loop material sewn on each side of the sling to adhere to the pillow. 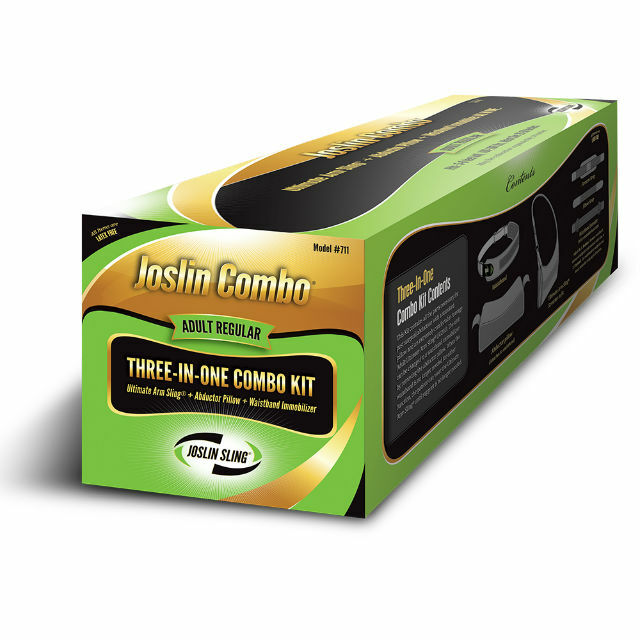 Each Combo kit adapts for either right or left use. 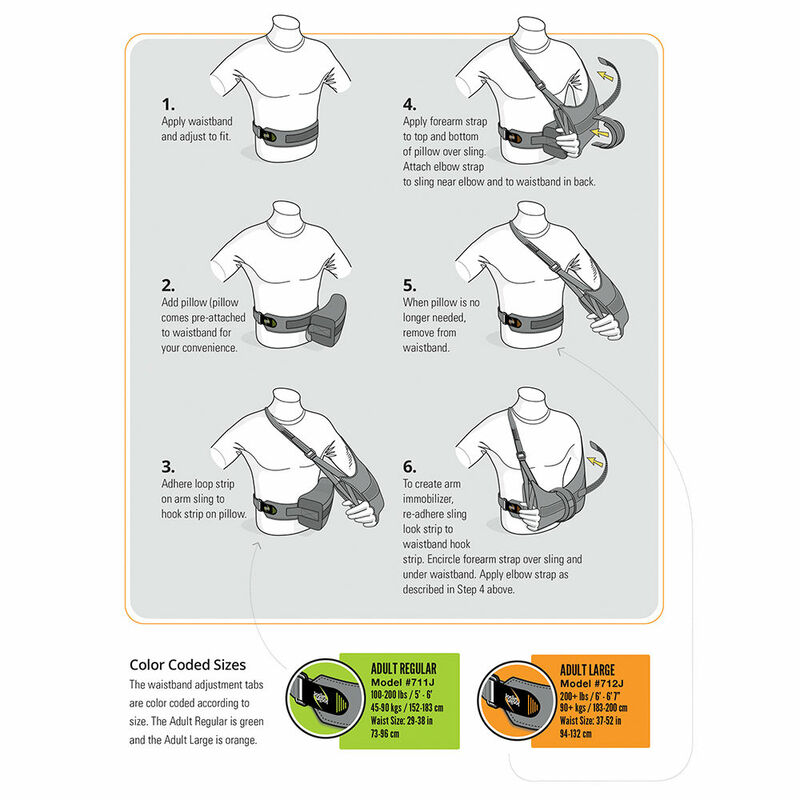 Material is included in the Kit to reduce the length of the waistband or to expand it. 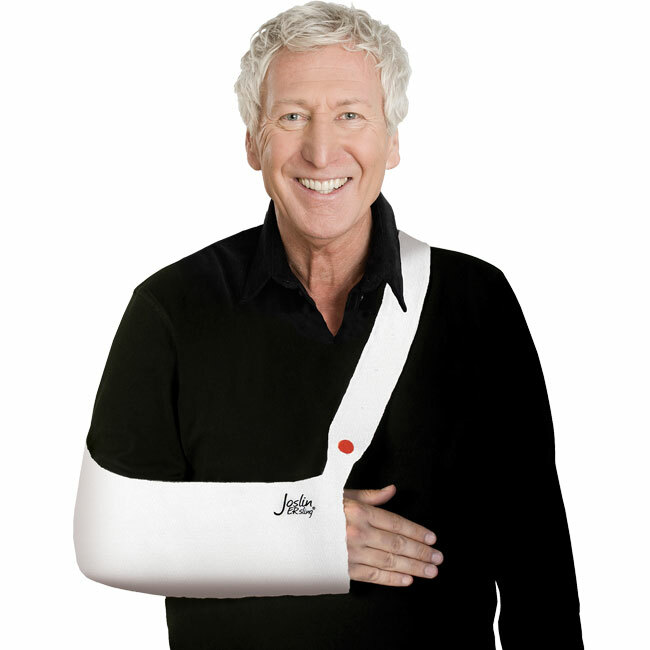 When the abdutor pillow is no longer needed, the pillow can be easily removed. 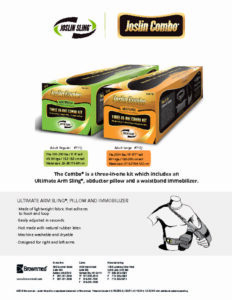 The Ultimate Arm Sling can then be attached to the pillow hook. 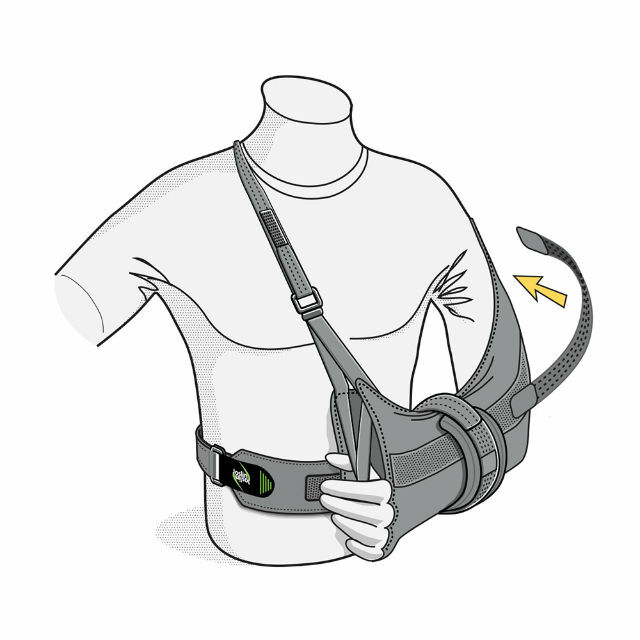 A forearm strap is added for stability and the waistband becomes a comfortable arm immobilizer.